If you are launching your business or company in Nigeria soon, one of the most important things you should take care of is, ‘registering your business or company with the Corporate Affairs Commission, CAC’. You might have been asking questions like, ‘How much is business name registration in Nigeria? Or ‘How can I get my availability code?’ And so on. But, stay calm as I will walk you through the complete steps in getting your business name registered in Nigeria and how to get your availability code. Gone are those days you must visit CAC office before you can get your business name registered but now due to technology and its advancement, Nigeria’s CAC has made it possible for us to register our company at any convenient time and place through our laptop or smartphone and, everything will be completed without any issue.. Thanks to technology! Although, I have wrote a blog post about how you can register your business with CAC in Nigeria using Offline or Online method but few days ago, a reader stumbled on the post through google search engine but after reading, she said it’s not clear to her which I decided to make clear through this blog post that focus only on how you can register your business or company in Nigeria with CAC without visiting any outlets. CAC – Corporate Affairs Commission was founded in 1990. It’s in charge of regulating the formation and management of companies in Nigeria.. So in this blog post, I will teach you the most easiest method of registering your business or company with the corporate affairs commission using the online method and also, how to get your approval through your own special availability code. We are going to discuss this in different parts for easy understanding. But make sure you have your ATM Card with you because you are going to pay for this business name registration. ===> Fill in the necessary details and make sure you use your legal name as it appears on your National I.D card or any Nigeria’s National identity document. Immediately, a verification link will be sent to your email address as you have earlier filled in, verify and login to your dashboard. Because many people register different business names with CAC everyday, you need to be smart if you don’t want your preferred business name to be registered by someone else before you do. So, CAC gives you the opportunity to reserve that preferred business name for 60 days. It’s even a ‘must’ to reserve business name before you can finally register it. How can I reserve my business name with CAC? ===> After clicking on that, you are going to be directed to a new page where you will reserve your business name. • Name & Type: Choose ‘Business Name’ and enter the business name you wish to Register. Here, you will have to provide two names if in case one is taken, the other might be ready for you. • Objective: Under ‘Reason for Availability Search’, choose ‘New Incorporation’ and choose your business category under ‘Nature of Business’. ##Quick Tips: If you are going to run more than one businesses like selling of clothes, running a private school, selling cars, wines, running a digital marketing film, printing of recharge card etc… I will advice you to choose ‘General Contracts’ under nature of business. Choosing ‘General Contracts’ during business name registration means that you are going to be running more than one business under a single registered business name. And this will save you from wasting money on registering another business name in the future. • Presenter Details: Here, you are going to input your details again including your means of identification either through National I.D card, PVC, Birth Certificate, Driver’s Licence. • Preview: You will be giving an opportunity to confirm all your details including your chosen business name, address, names, email, phone number etc. If the details are correct, click on the ‘Proceed to Payment’ button. • Payment: You will have to pay for the name reservation with your ATM card. Note, this costs N500 apart from the transaction fees. N600 was debited from my client’s though. After payment, a receipt of your payment will be sent to you. Since you have paid the N500 for the business name reservation and you payment has been confirmed, the next thing is to confirm if your business name is approved by CAC for registration. PART C: How to Know If Your Business Name is Approved By CAC. • You will see your approval status under the ‘My Reservation History’ tab. If your business name is lucky to be approved successfully, a big congratulations to you. Now, let proceed to completing the registration. But, before completing your business name registration on CAC Website, you will need to get your availability code. What is Availability Code on CAC Website? Availability Code is a special number which will be given to you to complete your business name registration. Without this code, it’s quite impossible to fully register your business name. Note that the availability code is on the approval note which you will have to download from the CAC official website. ===> After saving the PDF file, open it and you will see a ‘serial number’. If you see it, then you have seen your availability code! 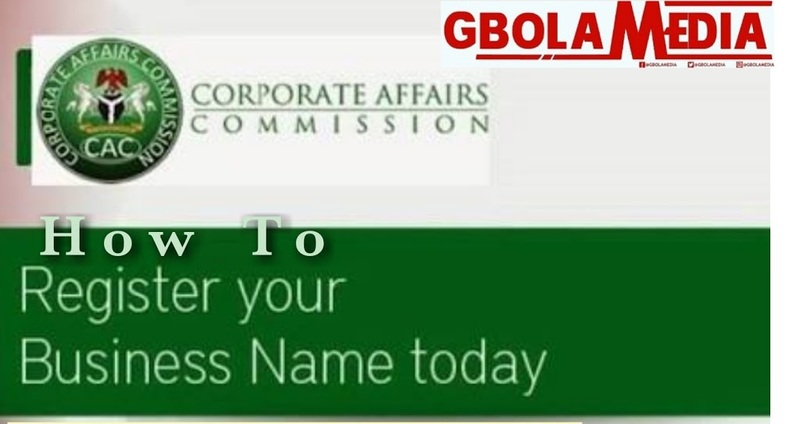 Finally, let complete your business name registration on CAC portal. Since you have gotten your availability code, let finalize everything now. ===> If it’s correct, complete your business name registration and that’s all. How Much Does It Cost To Register A Business Name in Nigeria With CAC? The cost of registering a business name in Nigeria with the cooperate affairs commission (CAC) varies because, it depends on the type of your business. Note: If you are a big company, expect to pay more than this. Click here for full list of the various price. I have align the complete steps on how you can register your business name online in Nigeria with CAC and how you can get your availability code for completing the registration. I hope this will help you as it helped my client got her business name registered without any issue. If you think that the process is too tedious or complicated to you, you can hire me to get it registered for you. Please don’t forget to share this helpful article with your friends and comment below. Thanks!! !